They have been called the “invisible faculty,” and there are now over a million of them across the country. ; part-time or adjunct faculty, full-time non-tenure-track faculty, or graduate students responsible for delivering lectures at universities and colleges. Instruction by part-timers is not a recent phenomenon. Graduate students and retired professionals have been teaching classes for decades. The proportion of part-timers has, however, been growing at an alarming pace and now some reports suggest that over half of all post-secondary faculty are part-time. Why Are They Considered Invisible? This term is used because the instructors see themselves as marginalized by their institutions. While their specific concerns may differ from one school to another, common elements surface. Though they are well educated and eager to provide high-quality instruction, they work under conditions that do not enable or encourage it; they have no job security, no support and no voice. Chapter headings in a report entitled The Just-In-Time Professor, summarize what most part-timers are concerned about: low pay at piece rate; lack of access to employer-provided benefits; job instability and unpredictability; and a shortage of career advancement and support. However, part-time faculty are not the only ones who suffer from the trend towards fewer full-time faculty. Less-frequently mentioned but no less important is that in an effort to save a few dollars in the short-term, post-secondary institutions have exposed themselves to a reduced capacity for succession planning and a less-integrated community. Teaching part-time makes it difficult to become immersed in the culture of the institution. If associate professors have to juggle several jobs, they do not have the time to contribute to their respective departments nor do they benefit from workplace camaraderie. They frequently share cramped quarters with other part-time instructors, and form only superficial relationships because they come and go at different times. The lack of interaction between part-timers may also reduce opportunities for peer-review of research or mentoring. The school suffers as well. 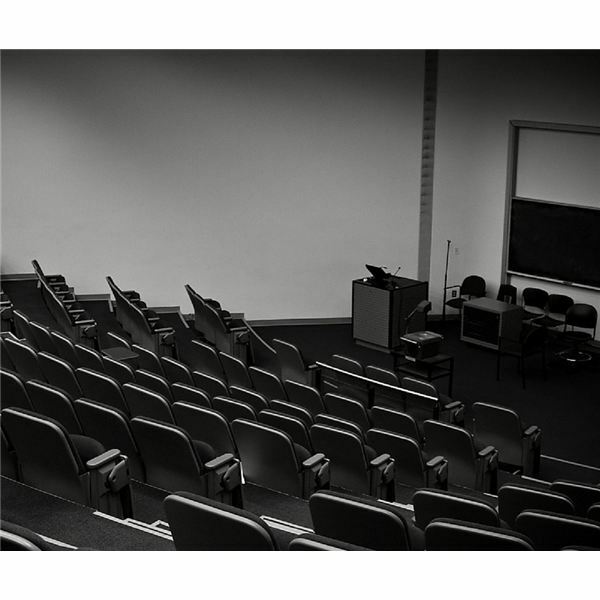 Very few up-and-coming adjunct professors or contract instructors sit on department committees and they do not feel attachment to the institution. The lack of opportunity to provide input reinforces their alienation and reduces their allegiance to any one place. If a better offer comes along, they are quick to seize it, so any investment a college or university made in that individual is lost. While it is clear that the universities and the part-timers suffer, where do the students fit into the equation? Most discussion favors the sentiment that students suffer from poorer quality teaching via part-time faculty; nowhere is it considered that students might be benefiting from the situation. The Just-In-Time Professor report suggests that the trend towards declining working conditions and stability for contingent faculty “should be of concern to policymakers both because of what it means for the living standards and work lives of those individuals we expect to educate the next generation of scientists, entrepreneurs, and other highly skilled workers, and what it may mean for the quality of higher education.” It could be argued, however; that students might actually benefit from a different type of instructor. Ironically, the issue most people would consider as a negative –that older, more seasoned professors are not teaching a course — might prove the biggest advantage to students. In many institutions, the higher a full-time professor reaches in the administration, the less he or she is required to teach. A Dean, for example, might share a first-year course with another professor. Indeed, several higher-ranking professors might share an introductory course because it fulfils their teaching commitment and frees them to pursue research. They have teaching assistants or lab instructors to meet with, and support the students, and the professors’ responsibility lies solely within the lecture hall. How does this benefit students? Use of part-time instructors in this case would free full professors to work with senior students in smaller classes with more specialized curriculum. Junior level students would be exposed to young, enthusiastic instructors who still enjoy digging deep into the subject, creating lectures based on recent developments, and questioning the status quo. House Committee on Education and the Workforce, Democratic Staff (2014). The JUST-IN-TIME PROFESSOR: A Staff Report Summarizing eForum Responses on the Working Conditions of Contingent Faculty in Higher Education. Roach, R. (2014) Report: Part-time Professors Represented Among the Working Poor.